This property is 3 minutes walk from the beach. 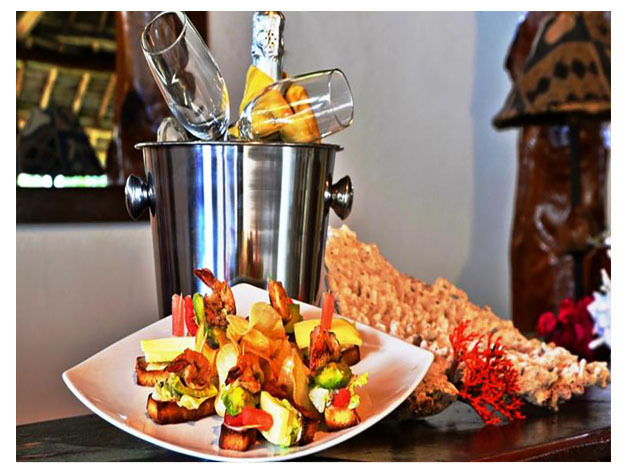 With a tropical garden, My Blue Hotel is located near the village of Nungwi, on Zanzibar Island’s northern tip. It offers an outdoor pool, a diving centre and wellness facilities. 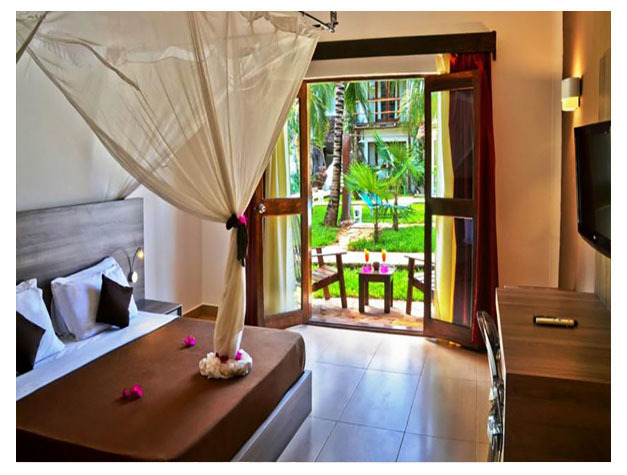 Featuring a balcony or terrace, the garden facing rooms feature air conditioning, a mosquito net and a luggage rack. There is a flat-screen TV, telephone and minibar in each room. The à la carte restaurant provides international and local dishes. A breakfast is served daily while snacks are available from the bar. Diving, fishing and snorkelling can be arranged at the 24-hour front desk. A hot tub and 2 massages cabins are available at My Blue Hotel. Kiwengwa Pongwe Forest Reserve is 39 km away by car. Zanzibar Airport is a 1-hour drive away.